Y’all. I’ve been up since technically yesterday and it’s literally freezing (and snowing!) here in Nashville, but am so excited to be on my way to Orlando. 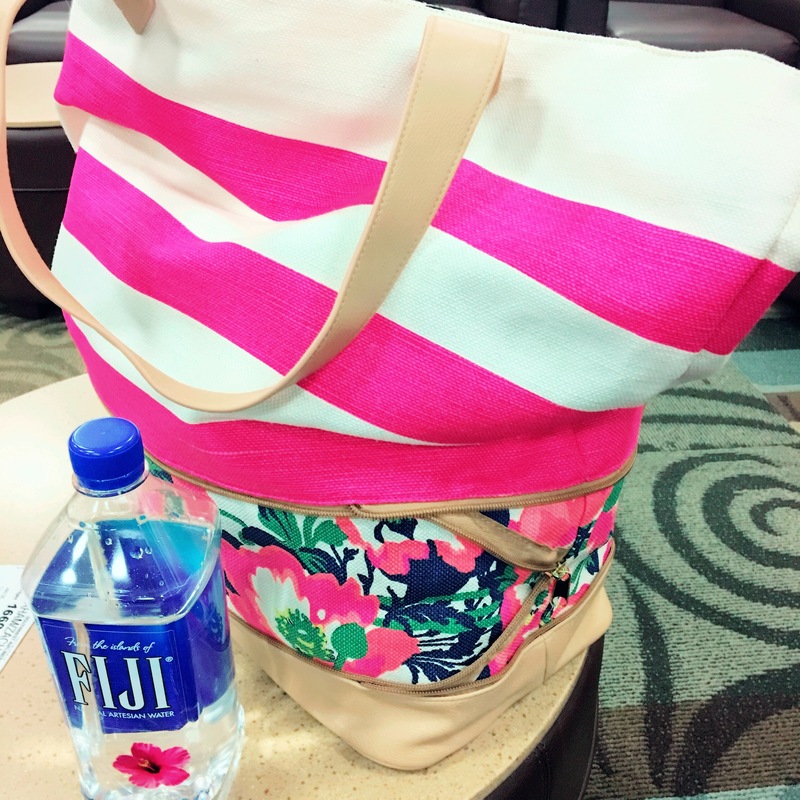 I got this nifty new gigantic bag for a carry on, since I’m paranoid about checking anything remotely important. 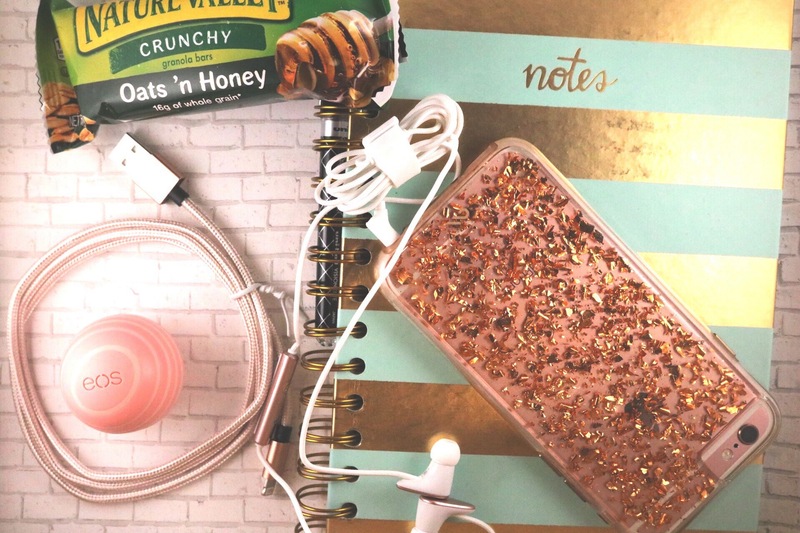 In addition to my Ariel costume for the marathon, I’ve packed the essentials of granola, chargers, earbuds, and a spiral bound notebook for writing on the go. 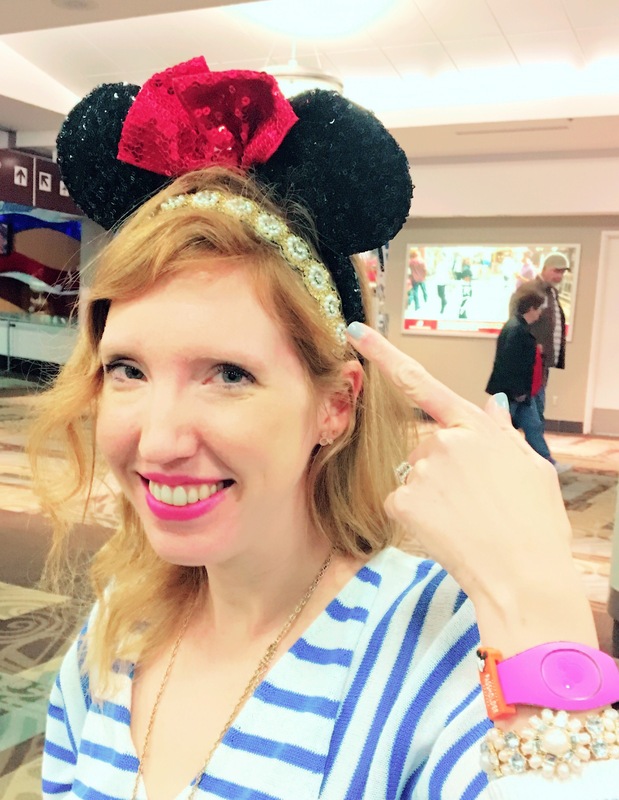 I feel like the bags under my eyes are big enough I should check them too, but I couldn’t help but go ahead and put on my Magicband and Minnie Mouse ears. Once we arrive and check in at our resort, I’ll head to the race expo to pick up my bib and packet. I don’t know about you, but I love race expos! They always get me pumped up for the race to come. Tonight we are doing the Illuminations Sparkling Dessert Party at EPCOT, which neither of us has done before. Tomorrow it’s meant to rain all day, which is probably a good thing as it will encourage me to rest up in preparation for Sunday. Look for more live blogging of my trip and the 2017 WDW Marathon! Have a great trip! I notice you have one of the new style magic bands? What do you think of it? They look too bulky to me so I’m not sure if I’ll like them, will have to wait till March to find out! Thank you! Yep, our new ones just arrived in the mail last week. We had the same concern but I think they are comfortable! I’m still trying to ascertain the purpose of coming out with version 2 though. Thank you! It is so pleasantly warm and sunny!! Just saw the news about Ft. Lauderdale airport… I hope you are safe. Thank you for checking! We got here a few hours ago thankfully — so tragic!!! Glad to hear you’re OK. Yes, my heart goes out to those affected.